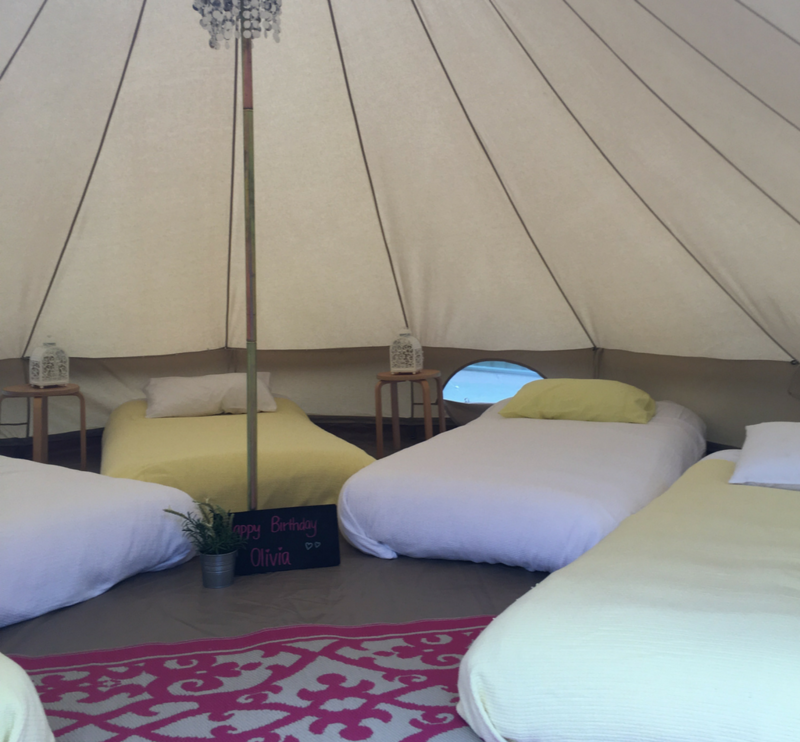 Whether you live in the city or the country, we can create our unique glamping experiences in your very own backyard…. All we need is a little patch of grass and we can create magic! We love putting together something really unique, especially for kids birthday – we know it’ll be something your little one will never ever forget. 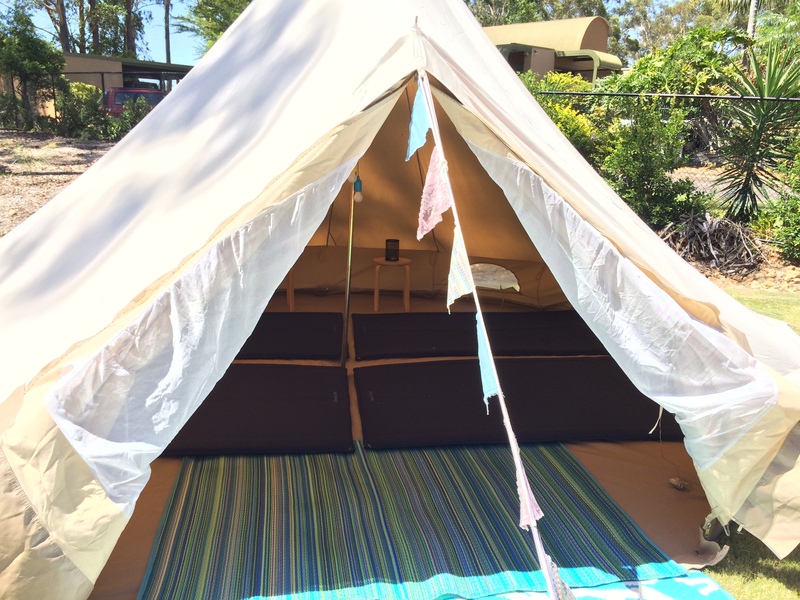 So long as you have space in your backyard, we can pitch a tent, style it with our unique ‘Glamping Days’ touch and your kids and their friends will have a birthday party adventure that is beyond their wildest dreams. If only the canvas walls could talk! 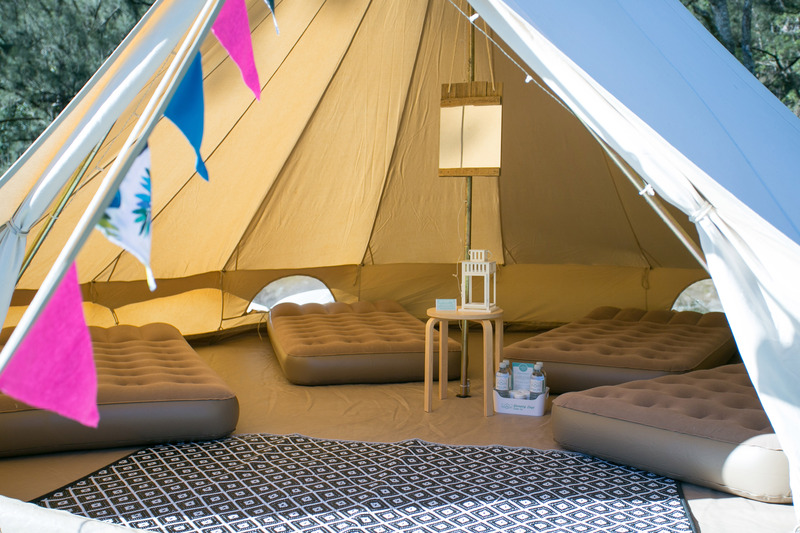 Just the basics – a tent and some floor mats on the floor and some of our signature ‘Glamping Days’ styling. We leave the bedding up to you. Great if you have spare mattresses at home that you are happy to pull outside or if your kids will be sleeping indoors, but you want to give them a space to have the party during the day/evening. Prices start from $325 for packages on the Gold Coast and $425 for Brisbane locals. + $100 for 5 beds. + $150 for 5 beds. Do you set up tents on private property? Sure do! 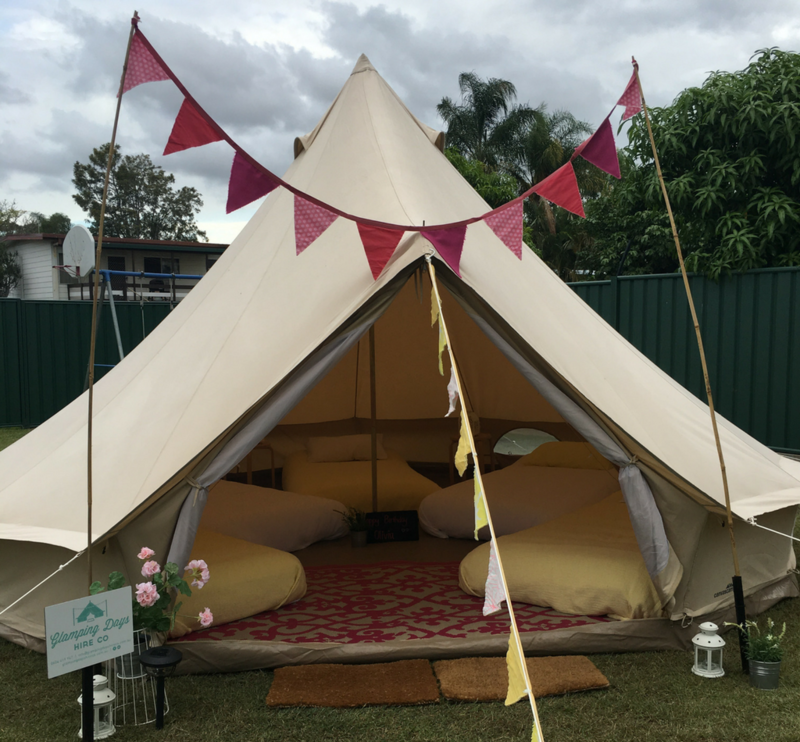 Whether it’s a home in the suburbs of Brisbane, or a big farm space out in the Gold Coast Hinterland so long as you have space, we can pitch our tents. Is it just kids birthdays that you set up in the backyard? Absolutely not! Whether you’ve got visitors that you can’t fit in the house, or you’re looking to book a romantic escape for your partner, but don’t want to stray too far away from the family home – our tents are perfect! Their use really is only limited by your imagination. How much space do we need to have a tent? For one of our standard 5m Bell Tents, you’ll need a flat piece of ground that’s around 7m x 7m – if space is a little tight we can pull tent ropes through fences and into garden beds. I only have a hard surface that you won’t be able to put pegs into, is that okay? There is a way we can get around this, yes! However, there is generally a few added costs – it’s best to get in touch with us, and we can work it out for you. How many kids fit into a tent? It all depends. If you’re adding sleeping mats to our package, we can fit around 10 kids sleeping comfortably. If the kids are a little bigger, we can fit 5 single airbeds into a 5m bell tent.